Home » Mental Health » Could Orange Essential Oil Relieve Your PTSD Symptoms? Have you experienced something in your life that continues to haunt you? Traumatic experiences can be quite common, and people experience them in different ways. Overcoming such negative events can be a challenge, but researchers are following a new scent that could help relieve the overwhelming distress you can’t seem to kick. Post-traumatic stress disorder (PTSD) is a condition involving mental and emotional stress brought on by injury, a terrifying event, or psychological shock. Though some people may downplay it, losing a loved one at any age, just like going to war or experiencing another form of trauma, can bring on PTSD. And there is a lot going on in the world today that can serve as causes and triggers of PTSD. Just watching the news is enough to cause severe symptoms in a PTSD sufferer. 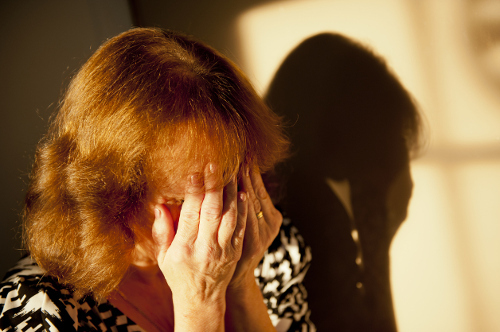 PTSD, which can severely limit your life, affects around eight million adults in the U.S. There aren’t very many recognized or approved treatments, but one quite interesting—and drug-free—option has recently come to light. Researchers from George Washington University have recently discovered that orange essential oil may help tame the haunting PTSD anxiety caused by exposure to stressful, distressing, and frightening events, as well as improve sufferers’ day-to-day lives. There seems to be a link between fearful, stressful memories and inflammation, although this has yet to be fully understood. Research has shown that flashbacks can activate and amplify inflammation of the peripheral immune system, potentially allowing these inflammatory cells to cross the blood-brain barrier and cause inflammation of the central nervous system. However, the new research shows that the scent of orange essential oil may work to reduce inflammation of the central nervous system and reduce behaviors commonly associated with fear. Orange Essential Oil: A Drug-Free Way to Help Manage PTSD? The calming effects of essential oils produce virtually no adverse health effects and are much cheaper than pharmaceuticals. Perhaps the new frontier for treating PTSD may come from applying orange essential oil to your skin or dispersing it through a diffuser in your home. At the very least, it could be an excellent complementary therapy. If you experience bouts of PTSD, I’d recommend testing out the potential benefits of orange essential oil, as well as talking to your doctor about other options available to you. You must consult your doctor first if you have a citrus-related allergy or if you are on medication for your PTSD symptoms and are considering reducing your dosage or going off it. Nichols, H., “Orange essential oil may improve symptoms of PTSD, say researchers,” Medical News Today, April 25, 2017; http://www.medicalnewstoday.com/articles/317098.php, last accessed April 28, 2017.